50 years ago, at a recording studio in Los Angeles, the 23-year-old Brian Wilson, his fellow Beach Boys, and a team of crack West Coast session musicians made an album that would radically alter rock 'n' roll history. They called it Pet Sounds, and it still regularly features near the top of polls and questionnaires listing the most influential records of the 20th century. Hearing it, the Beatles were stung creatively into making Sgt. Pepper's Lonely Hearts Club Band. That's some reaction; some tribute. 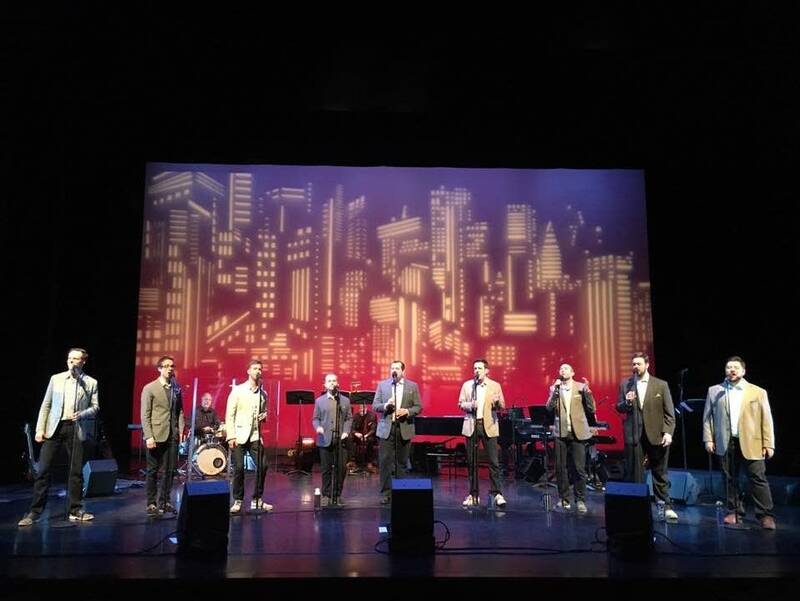 And the tributes continue: on Saturday evening Twin Cities vocal ensemble Cantus placed a complete performance of Pet Sounds at the epicenter of its annual "Covers" pop concert, drawing a capacity audience to the Cowles Center in Minneapolis. But how do you do that? How do you re-cast the massively familiar, the iconic, and make it sound like more than just a feeble imitation? Cantus has quality on its side, to begin with. Nine male voices (to the Beach Boys' six), all of superlative quality, all switching easily from idiom to idiom. These boys can rock, swing, groove, and boogie, as well as do their standard shift of classical and contemporary music. They can, in short, do pretty much anything. The Pet Sounds set starts in a fairly low-key fashion, "Wouldn't It Be Nice" played straight and even, shorn of frills and fancy footwork. With "You Still Believe In Me," however, it's clear that slavish karaoke singalongs are not the path Cantus is going to follow. With tenor Joe Shadday pitching a crystalline lead vocal — the melisma on "I wanna cry" is to die for — and band member Lee Blaske etching tasteful accordion fills, the alluring beauty of Brian Wilson's melody tingles the air in front of you. The stacked polyphony of the coda is a special moment: Victoria and Palestrina, eat your heart out. The haunted harmonies of "Don't Talk (Put Your Head On My Shoulder)," performed with just a quartet of singers, are another highlight, as is the climactic "I Just Wasn't Made For These Times," with its overlapping, quasi-fugal textures, and an exquisite solo from tenor Paul John Rudoi. On the upbeat numbers in particular Cantus ring the stylistic changes. "Waiting For The Day" has a bluegrass shuffle, dashes of light funk give "I Know There's An Answer" a playful makeover, and "Sloop John B" is dragged kicking and screaming into a Chicago blues bar, sleaze and doo-wop added. A patina of ghostly echo is added to the instrumental "Pet Sounds," as though emphasizing the prism of history through which we now perceive Brain Wilson's wondrous music. Then, a perfect segue to "Caroline, No," and another dream Shadday vocal, the high cadences melting to a quivering vibrato of longing, lost relationships, and summer days now gone forever. How do you follow that? A rip-snorting ride through Tom Wallace's insanely difficult "Daft Punk Medley" was the answer, followed by Paul Simon's "You Can Call Me Al," and a poignant encore meshing bits of Prince's "Purple Rain" and David Bowie's "Space Oddity" together. Other selections included a snappy rendition of Vulfpeck's "Back Pocket" and a re-tooled rap through Macklemore & Ryan Lewis's "Thrift Shop" (profanities omitted). Together they bookended the Pet Sounds performance, rounding out a hugely entertaining evening. It was also, often, moving: the love, affection and imagination lavished on Pet Sounds by the nine Cantus singers was at times a revelation, opening new perspectives on Brian Wilson's timelessly beguiling masterpiece. The concert will repeat with three performances next weekend. Terry Blain was educated in Northern Ireland and Cambridge, England, and writes for a wide range of publications, including BBC Music Magazine and Opera Magazine. In his spare time he is an avid record collector, and walks his dog Buddy.